Grand Traverse Pie president Mike Busley holds one of his company’s bestsellers: Apple Crumb with Caramel and Pecans. 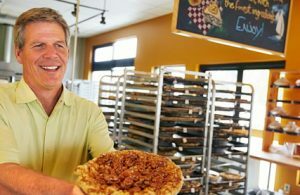 Since its launch in 1996, Grand Traverse Pie Co. has been making lives sweeter for its customers, and by 2017 the Traverse City, Michigan-based company was generating annual revenue of more than $25 million. In addition to 16 retail locations, GT Pie has an online division that generates about 8 percent of its revenue. Wanting to boost this slice of business, GT Pie entered Michigan’s statewide Economic Gardening program in fall 2017. This enabled president Mike Busley and co-owner Tim Rice to work with the National Strategic Research Team (NSRT), a cadre of experts at the National Center for Economic Gardening that provides customized information to help second-stage companies grow larger and become more profitable. Created geographic maps that visualized the locations of GT Pie customers by metro area and county across the United States over both a 10-year period and the most recent 12 months. Evaluated those buyers by Tapestry segmentation to identify common demographic, socioeconomic and behavioral characteristics and rank the ones most apt to indulge their sweet tooth. Then, maps were created to indicate where potential new customers could be targeted. Leveraged census migration data to determine other places Michigan natives retire or relocate to, such as Florida or Arizona — places where expatriates might be hungry for a taste of home. Created online marketing strategies to help GT Pie connect with prospective customers, including suggestions of location, age and keywords to use in Google ads. Conducted research on Millennials’ pie-purchasing behavior. “The 2018 holiday season will be a real test of what we’ve learned,” he adds, explaining that GT Pie wrapped up its Economic Gardening engagement in November 2017, which didn’t leave a lot of time to implement the research findings and affect fourth-quarter sales. 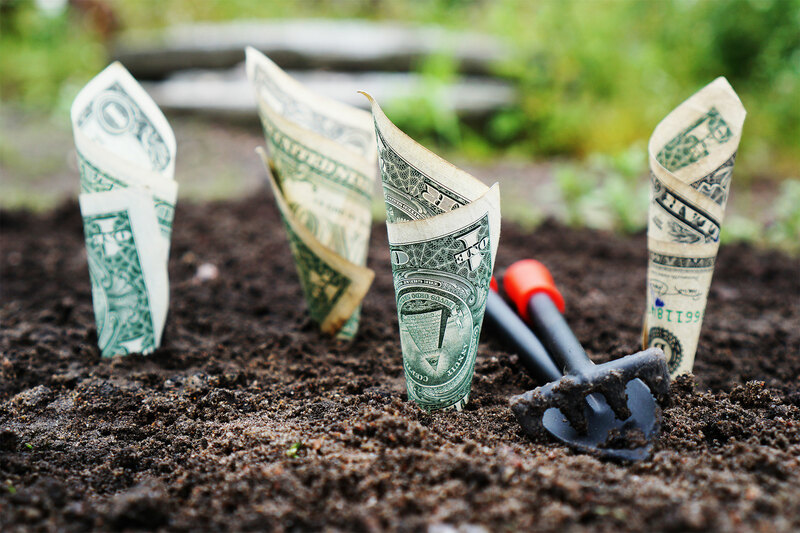 In contrast to relocation or startup initiatives, Economic Gardening® targets second-stage companies already operating in a community. It helps these existing businesses grow larger by assisting them with strategic issues and providing them with customized research.